S3 Wayne Township, Hamilton County, Indiana. SD 9, ED 114, Sheet 8B, Dwelling 123, Household 273, Line 87, Christopher Robbinson [Robbins] Household. Census Date 28 Apr 1910. Original Data: NARA Roll T624_353; FHL microfilm: 1374366. www.ancestry.com, Accessed 17 Apr 2018. Acc001546/Doc4736.pdf. 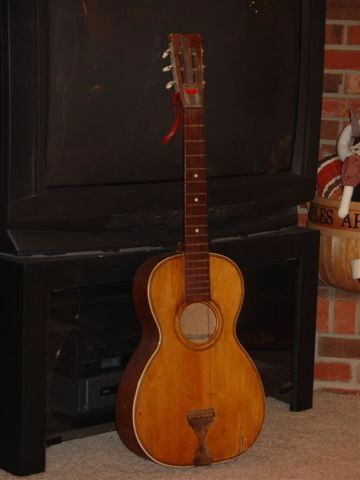 Walt stated that the guitar belonged to Christopher Columbus Robbins ID0071 and not to Grandpa. He said that Grandpa told him that he played the violin and that Christopher played the guitar at barn dances in Westfield when they were younger. Walt also said that Myron got the guitar with the intention of learning to play it but he didn't think he had much success. S10 Email, From Living ID0186 to RobbHaas ID0001, 21 Jan 2008. S20 Interview, Walt Robbins, Sr., ID0005, 12 Dec 2006, Yorktown, Delaware County, Indiana. Address: 136 South 8th St. 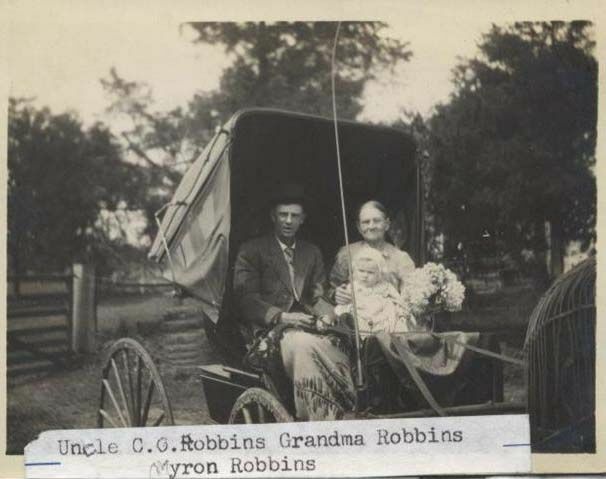 Birth: 6 Apr 1874, Washington Township, Hamilton County, Ind. Informant: Alva Newcomer, RR#3, Noblesville, Ind.